Mt. Juliet, Tenn. – Officers apprehended a man moments after he attempted to rob Cracker Barrel, located at 350 S. Mt. Juliet Road. Around 10:30 p.m. Monday evening, Mt. Juliet’s emergency communications center began to receive 911 calls after an armed man attempted to gain entry into the closed restaurant. The suspect’s entry into the restaurant was unsuccessful, and he jumped into a nearby vehicle. That vehicle was located by officers at an adjacent gas station, where three occupants were detained. The armed suspect was apprehended, and the handgun used by the suspect was recovered by officers. Employees were inside the restaurant at the time of the attempted robbery. Investigators from Mt. Juliet Police Department’s Criminal Investigative Division responded to the scene, and they conducted a thorough investigation. Investigators identified the armed suspect as Thomas Barnes, 28, of Lebanon. 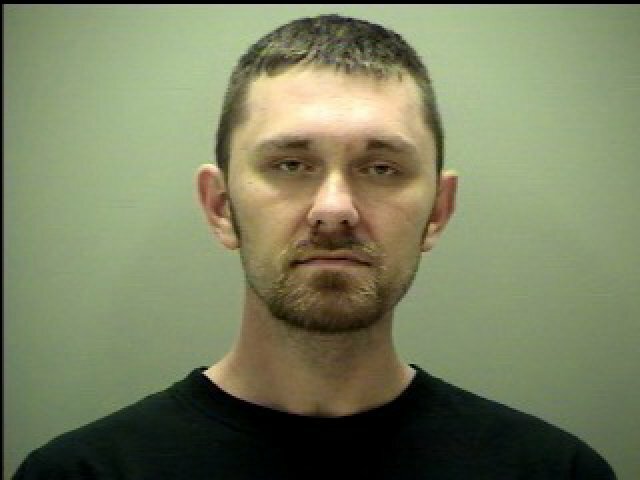 He was arrested and booked into the Wilson County Jail, charged with Aggravated Robbery and Theft of Property. It was determined that the handgun used during the robbery was stolen. The other two individuals, who were located with Barnes, will not be charged.